Ihsan Global Relief helps Needy Children and Orphans around the world. Please fill in the form below. You will be directed to PayPal for payment. An alternative way to donate would be via our MyDonate page where MyDonate will help us claim back our GiftAid. Please donate generously to help us achieve our cause. Yes, I confirm I am a UK tax payer and I would like Ihsan Global Relief to treat all donations I have made four years prior to this year and all donations I make in the future as Gift Aid Donations, until I notify you otherwise. Please fill in your personal details below. * denotes required fields. You will be diverted to paypal where you can enter your credit card information securely. Ihsan Global Relief is a registered charity in the United Kingdom. The Registered Charity Number is 1147907. Why not donate regularly? 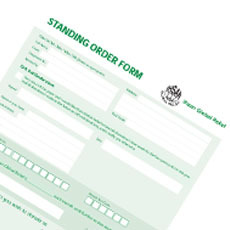 Set up a regular donation by sending us the standing order form. © 2019 Ihsan Global Relief. All Rights Reserved.